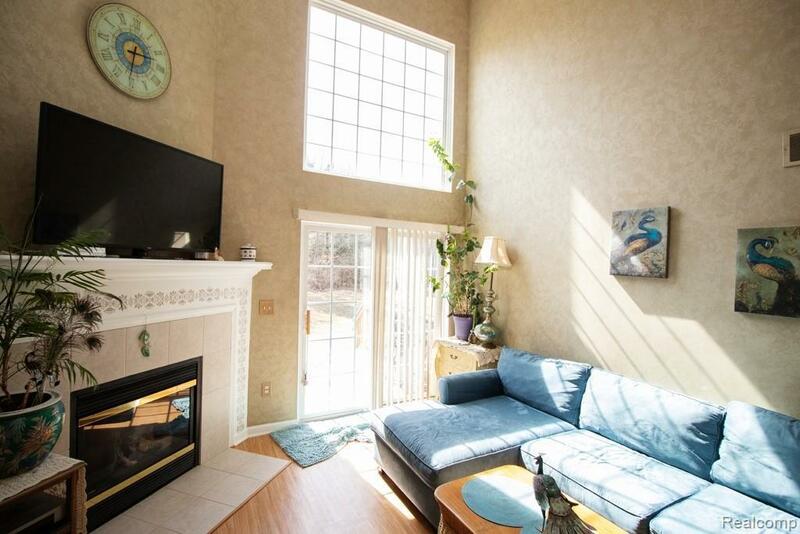 ATTRACTIVE 1 1/2 STORY CONDO BACKS TO WOODED AREA AND FEATURES A FIRST FLOOR MASTER, 17X13 GREAT ROOM WITH IMPRESSIVE VAULTED CEILING, GAS FIREPLACE AND MAGNIFICENT WINDOW FOR VIEWS AND LOTS OF LIGHT. KITCHEN COMES WITH ALL APPLIANCES AND OFFERS A BREAKFAST NOOK. NICE SIZE MASTER BEDROOM WITH WALK IN CLOSET AND THE MASTER BATH FEATURES PRIVATE CUSTOM JACUZZI SOAKING TUB FOR RELAXING. 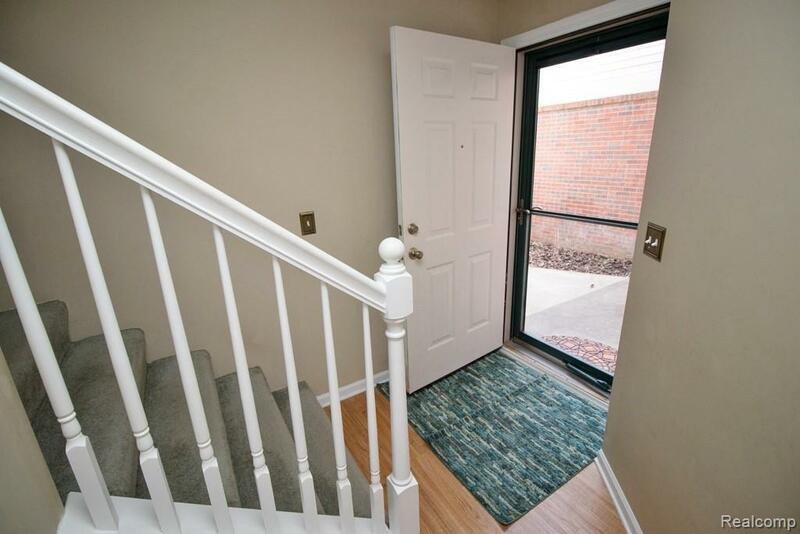 ALL NEW LAMINATE FLOORING ON THE SECOND FLOOR WHERE YOU WILL FIND A LOFT AREA THAT CAN BE UTILIZED FOR AN OFFICE OR STUDY, ALONG WITH THE ADDITIONAL 2 BEDROOM (ONE HAS WALK IN CLOSET) AND SECOND BATHROOM WHICH IS PLUMBED TO ADD AN ADDITIONAL SINK IF NEEDED. 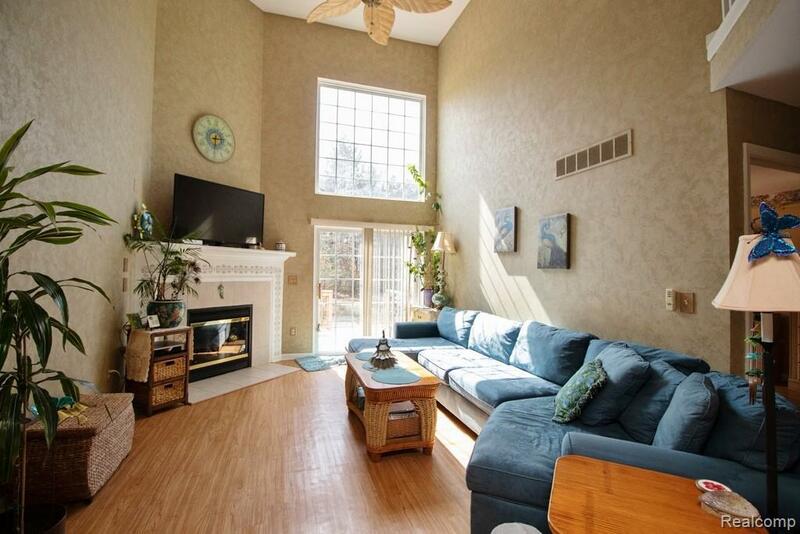 FULL BASEMENT WITH 8' CEILINGS AND AN EGRESS WINDOW FOR ADDED STORAGE OR TO FINISH FOR ADDITIONAL LIVING SPACE. DECK OFF GREAT ROOM TO ENJOY YOUR MORNING COFFEE . FIRST FLOOR LAUNDRY AND TWO CAR GARAGE. NEW ROOF IN '17. 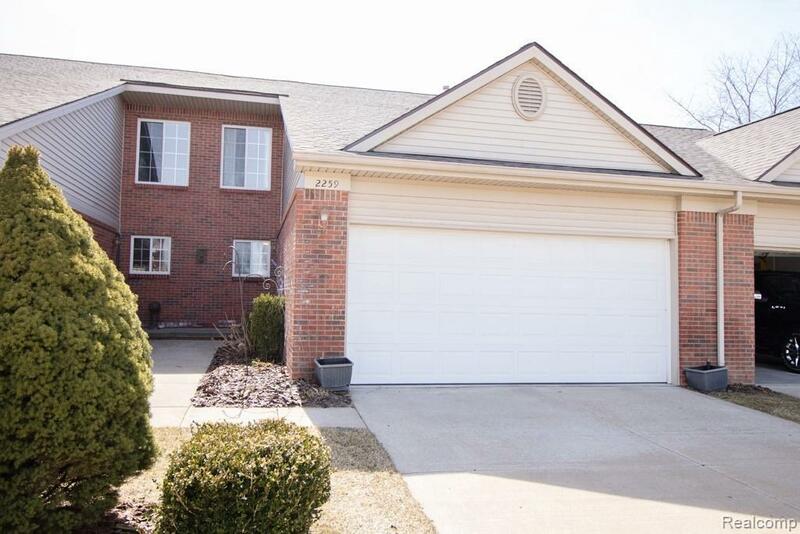 GREAT LOCATION TO I-96 AND DOWNTOWN HOWELL. COME SEE! !